I've always dreamed of going to a beautiful, mysterious island for a relaxing getaway! 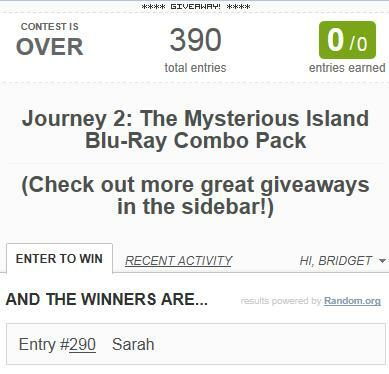 Now it's time to tell you who won the Journey 2: The Mysterious Island DVD giveaway. I hope you enjoy Journey 2 as much as we did! 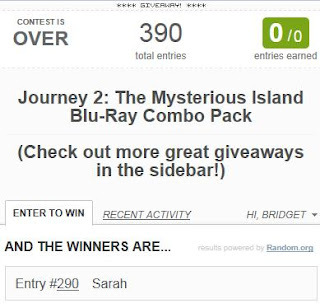 I would also like to thank the Journey 2: The Mysterious Island PR company for making this mysterious island giveaway possible for my readers.